Tata, the largest industrial group in India, entered the water purifier business by unveiling their unique and innovative water purifier called 'Tata Swach' on 7th December, 2009. 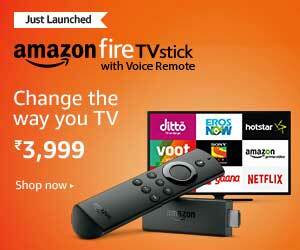 'Swach' means 'Clean' in Hindi. The Tata Swach water filter took the 2010 top Gold award prize in The Wall Street Journal's Asian Innovation Awards. 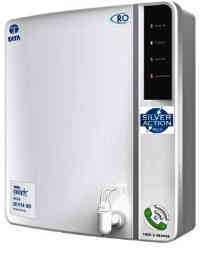 Now Tata produces all types of water purifiers. Tata RO water purifiers are very good and are some of the cheapest models of RO water purifiers that you can get in Inida. Tata, being a household name in India, are sure to produce good water purifiers which will work. 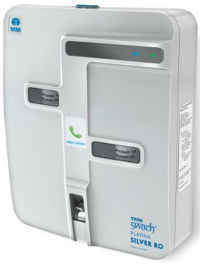 Tata now has a few electric RO water purifiers under the Tata Swach Brand. The full range of Tata Swach RO Water Purifiers available in India complete with detailed specs and online price are presented below. RO with 6 purification stages and uses Silver Nano technology in Activated Carbon Cartridges. RO with 5 purification stages and uses Silver Nano technology in Activated Carbon Cartridges. RO with 4 purification stages and uses Silver Nano technology in Activated Carbon Cartridges. UF with 4 purification stages and uses Silver Nano technology in Activated Carbon Cartridges. The pictures below show the Tata Swach water purifier Cristella Plus on the left and on the right the Tata water purifier Swach Smart. In the middle is the Tata Swach Bulb, the replaceable cartridge suitable for both Tata water purifier Swach models. 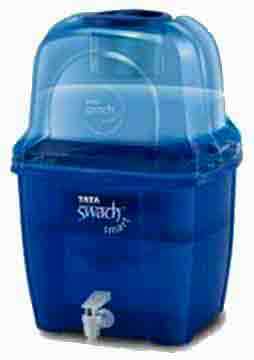 The Tata Swach Non Electric Cristella Plus 18-Litre Gravity Based Water Purifier is a storage type water purifier with total capacity of 18 Litres of which 9 liters is in the purified water tank. 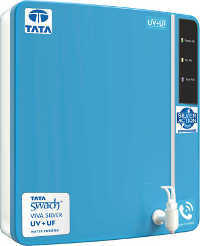 The Tata Swach Non Electric Smart is a 15-Litre capacity Gravity Based Water Purifier available in two colours, Sapphire Blue and Emrald Green. Of the total tank capacity of 15 Litres, 7.5 liters is purified water. The Tata Swach Smart is a economical way to ensure safe drinking water and uses Silver Nano-technology to effectively destroy bacteria and viruses without using electricity or running water. Largest capacity of purified water storage in Gravity filters. 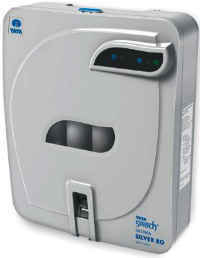 Tata Swach water purifiers have a replacable cartridge called the 'Tata Swach Bulb'. The filtration media in the Tata Swach Bulb is activated Rice Husk Ash impregnated with Nano Silver particles. Rice Husk Ash (RCA) is the filtering medium for water and the nano-silver particles kills bacteria, germs and other organisms. Rice Husk Ash (RHA) contains activated silica and activated carbon, where the activated silica reduces the turbidity or cloudiness of the water entering the filter and the Activated Carbon adsorbs most of the toxic organic impurities. The nano silver particles kills all the bacteria and viruses as per the USEPA (United States Environmental Protection Agency) guidelines of germ kill at 6-log reduction of bacteria, 4-log reduction of viruses, and 3-log reduction of protozoan cysts. Tata Swach water filter also has an automatic Cut-off mechanism to prevent flow of water when its filtration capacity of 3000 liters is finished. A simple replacement of the Tata Swach Bulb filter cartridge will reinstate the full capacity, to purify another 3000 liters of water. Silver has been known to have preservative and antimicrobial properties from time immemorial. Hippocrates (460 BC – 370 BC), the ancient Greek physician considered as the "father of medicine", wrote that silver had beneficial healing and anti-disease properties. The ancient Phoenicians (1550 BC to 300 BC) are said to have stored water, wine, and vinegar in silver bottles to prevent spoiling. In the early 1900s, people would put silver coins in milk bottles to prolong the milk's freshness. Even now Silver compounds continue to be used in external antiseptics. Silver nitrate in dilute solution is still used as eye drops to prevent conjunctivitis in newborn babies. The anti-microbial properties of Silver gets multiplied several times over at the nano-level, and it is this property that the Tata water purifiers Swach takes advantage of, to give safe drinking water at an affordable price.